We saw lots of Android tablet out in the wild, we also saw Sony Ericsson PlayStation mobile, and we also saw Samsung making a 5.3’’ phone-tablet hybrid Galaxy Note. But I am sure that JXD done something new. They include gaming keys on the both side of their 7-inch Android running tablet. 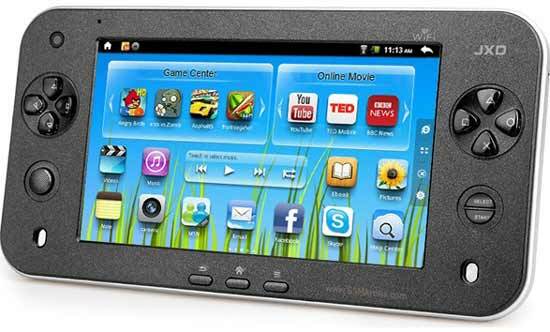 Their S7100 Android 2.2 Froyo running 7-inch tablet has the same dual-core Cortex A9 with Mali-400 GPU found under the hood of Samsung’s Galaxy S II. It also has 512MB of RAM, 16 GB internal memory, Wi-Fi and HDMI out. The device has a claimed battery life of 4 hours of web browsing and 10 hours for music playback. But the display of this magic device isn’t looks so pretty. The device has a 7-inch display of 800 x 480 resolutions. The controls on the side work only if you install ROMs of classic games but for titles found on the Android Market you will have to rely on the touchscreen. I think it would be great if they release some specified games for this Android console. And a release of developer code for the console will be great for many Android gamer. 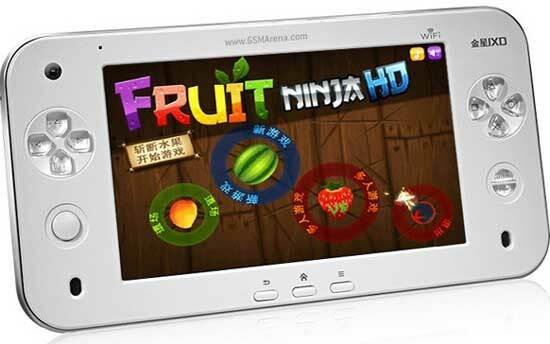 If you’re interested about JXD S7100 tab then you would be delighted to know that it costs only $139.99. So I think a visit to their official website isn’t a bad idea! They also posted a nice video, take a look here to see it.